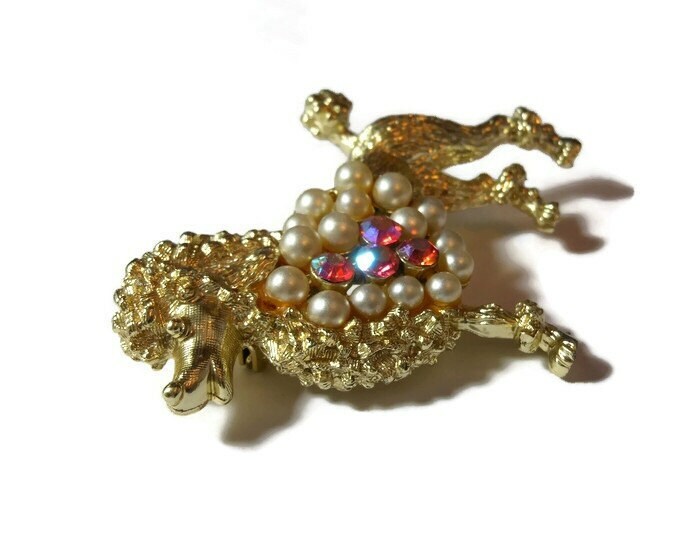 Poodle brooch pin, light gold French poodle pin with pearls and pink aurora borealis (AB) rhinestones, statement brooch, designer quality. 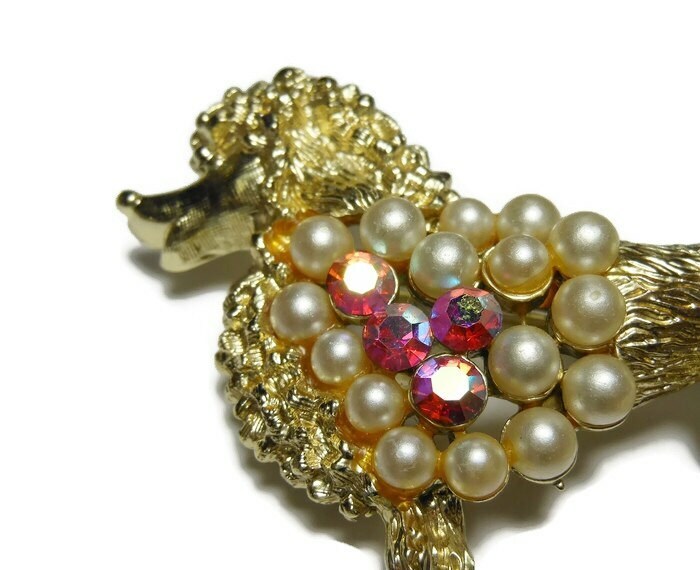 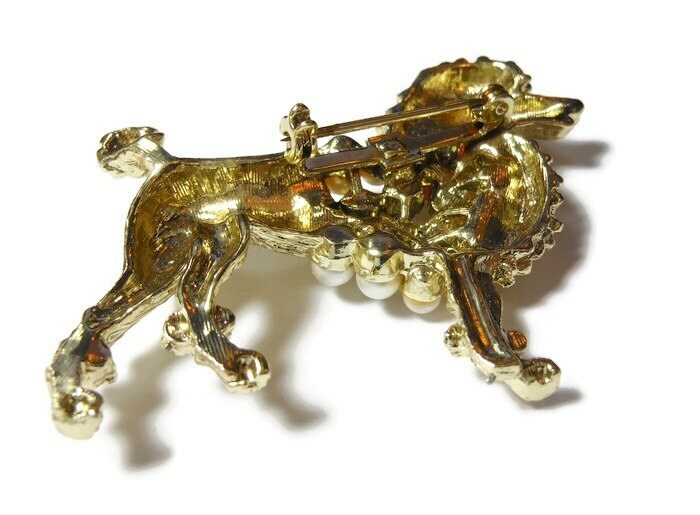 A large brooch it measures 2 5/8" (6.7 cm) X 2" (5.1 cm) and is in very good vintage condition. 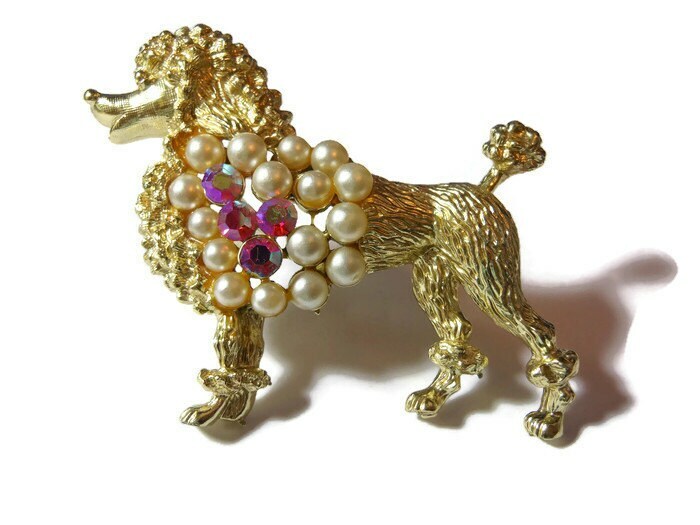 Great for a poodle, french poodle or animal lover!